Dozens of dogs were rescued from what looks like a case of hoarding in Sterling Heights. 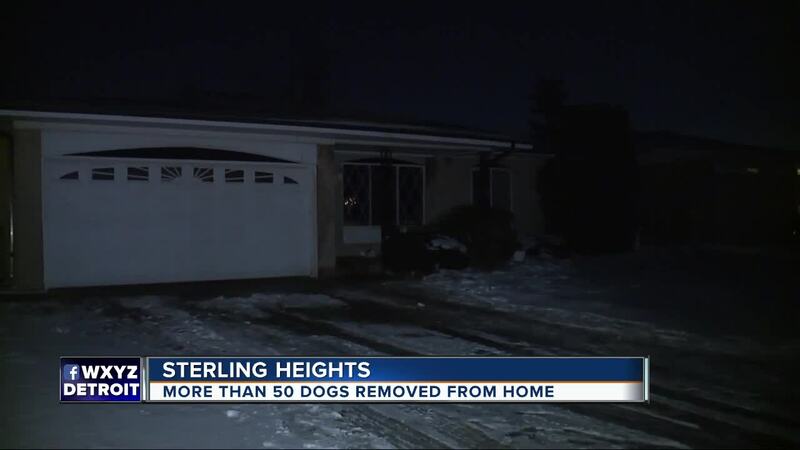 STERLING HEIGHTS, Mich. (WXYZ) — Dozens of dogs were rescued from what looks like a case of hoarding in Sterling Heights. Police say the animals were found during an eviction. Fifty-two dogs were taken from the home located on Montego Drive near 16 Mile and Schoenherr. Police say many of the dogs are sick and one of them had to be put down. The person who lived at the home is cooperating with the police, but they say the investigation could lead to criminal charges.